In conjunction with SG50, Majestic Restaurant is presenting a limited edition six-piece Majestic Treasures Jubilee Box ($50/6 pieces), which features mooncakes symbolic of Singapore – the low-sugar baked orchid mooncake comes with a single yolk, and the low-sugar baked merlion mooncake is filled with a pineapple paste. 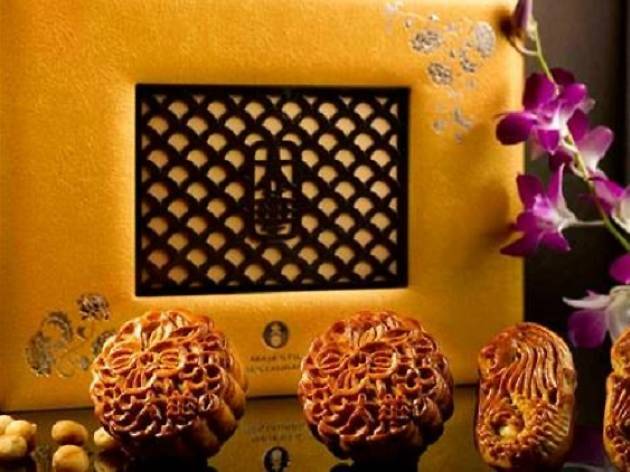 Other signature mooncakes including the snow skin Mao Shan Wang durian mooncake ($68/8 pieces), snow skin with Kwai Feh lychee liqueur mooncake ($55/8 pieces) and the traditional baked red bean paste with melon seeds ($52/4 pieces; $28/2 pieces) are available as well. 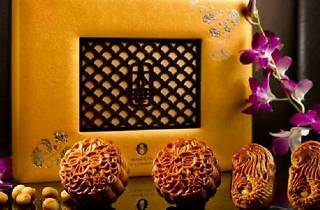 The mooncakes are available at the New Majestic hotel lobby from Aug 21-Sep 27 (11.30am-8.30pm).